I really like tools that make me feel successful, tools like… soap. I use soap right every time. There aren’t a lot of tools that fall in that category, but I like them all: tissues and socks and those long-handled candle-lighter thingies. My favorite, though, is probably my Enough List. It’s not exactly a to-do list. It’s a list of what will be enough for this day. Most days I list three-ish things, the three-ish things that will leave me feeling most accomplished at the end of the day. Then every time I have free minutes in my day, I choose the next right thing off my list and I work on that. At the end of the day, I have this great built-in sense of success. Some days I cross everything off my list. Some days things get missed. Some days I flip back through my old lists to see what I’ve abandoned, and that’s how I found a note-to-self that said: Write about how you can’t really be known if you’re protecting yourself, if you’re hiding, if you’re inside a shell. Wait, what? I was going to write about that? What prompted this? I don’t remember writing that down at all. Was there a story behind that helpful suggestion, Self? I do not know. I have no memory of it. It is true, though. You can’t hide and be known at the same time. There are vulnerable parts to your story, and you can build yourself a hard shell to cover them up. You can smooth over all your messy pieces. You can add layer after layer of shine to reflect the light, to keep that light from revealing your own imperfection. You can keep the world out that way. You can protect yourself. You can keep everyone out, but that’s the difficulty with a shell. It keeps out trouble, maybe, but at the same time it blocks all the good stuff: the connection, the understanding, the acceptance, the grace, the love. You can’t commune with anyone from inside a shell. Okay! You say. No problem on the not-communing! But to commune is to communicate with another in a personal or spiritual way. How will you make personal, spiritual connections from inside a shell? Even a hermit crab sticks out its feelers from time to time. No, if you want to commune, if you want to be in community, you have to be known. You have to be seen, and being seen means being vulnerable. No shell. No walls. I think God is in the business of seeing you and knowing you right through your shell, but most humans don’t have that kind of x-ray vision. Sometimes I will say to new friends, apropos of nothing: Hey, just so you know? I have depression and anxiety, and sometimes they’re overwhelming, but right now they’re okay. I say it because if you aren’t seeing that, you aren’t seeing all of me. I know that being known starts with being seen, but there’s no logical time to bring it up, so I crack that shell early. Then I have to follow up with: No, I’m fine right now. No, really, please don’t try to bring me meals. I’m good. I just wanted you to know, because when I am in the middle of it, I don’t have the energy to explain. I can’t be telling you about it then. Depression and anxiety, those just mean that my brain is sending my body the wrong signals. Wires get crossed somewhere. These things happen. We all have things. We deal with them. And then we decide if we’re going to let those things be known, or if we’re going to cover them over. When you start making little pin-prick holes in your shell, like a baby bird, what you find first is fear. There’s fear that you won’t be accepted as you really are. But the path toward being accepted starts with taking the risk of being seen. If we’re going to walk that path, we have to trade our fear for hope. You don’t have to let fear be the biggest, most important, most real thing about coming out of your shell. 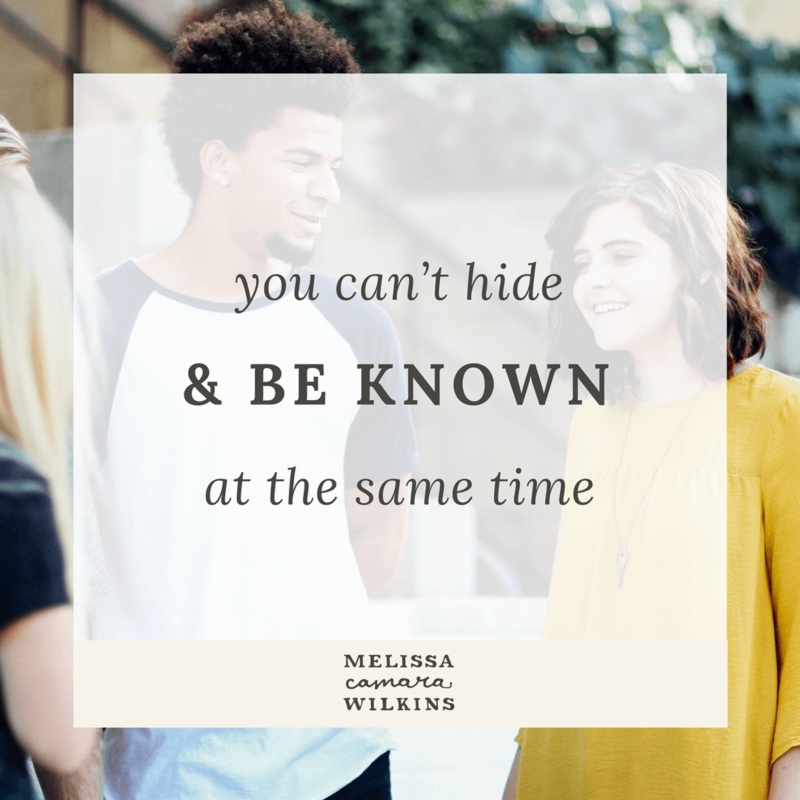 Instead, you can hope — maybe even trust — that being seen will mean being known and accepted and loved. That’s how we break out of the shell. We trade our fear for hope. There’s freedom there, on the other side of the fear. 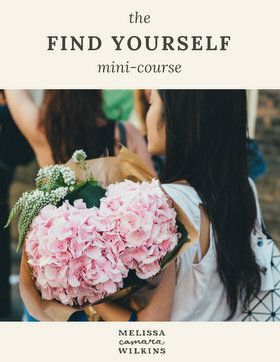 There’s freedom in being yourself, in being open to connection, in hoping and expecting and anticipating the community that comes from sharing your truth. I don’t know why I meant to write about that. I guess it was important to me that day. I guess it still is. Writing about being seen, about hope and love: done. Breaking down my own shell a little more—well, that wasn’t on the list, but: done, too.